Chef Stephanie Teekaram was born and raised in Guyana, South America. She migrated to the USA in 2003 and began to pursue her dream of becoming a chef. She attended the Institute of Culinary Education (ICE) where she graduated with Diplomas in Culinary Arts(2004), Pastry and Baking (2005) and Restaurant Management (2006). 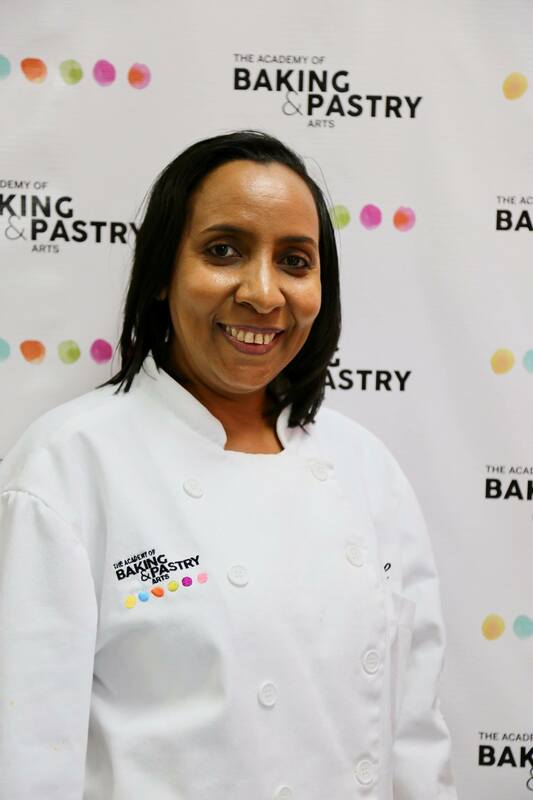 While attending the Institute, she joined the staff at ICE as a Purchasing Supervisor and was fortunate to be a volunteer at the World Pastry Competition for four consecutive years, where she worked with various international chefs in the competition. In 2007 she left ICE to begin her career as a Pastry Chef. She spent two years in Athens, Greece, working in Special Cakes, where she systematized operations, created recipes and did pastry and baking production. She also started the Unicuisine Catering and Events Planning Services in Brooklyn, NY, to provide services to persons organizing small social events. Over the years, Chef Stephanie has developed the skills that has made her proficient in cake design and expedition, menu creation and development, pastry and baking production, purchasing and inventory and kitchen staff supervision. Featured in both the NY Times and CNN.com, she has worked as a personal chef in NY and also as the executive Pastry chef at several NY restaurants, including Kutshers Tribeca, Kitty’s Canteen and Ralph Lauren’s Polo Bar. She started her teaching career as an instructor to kids, teaching the art of cooking in an after school program. Chef Stephanie became a member of the Chef Advisory Board at The Food and Finance High School, the only Culinary High School in Manhattan, NY, in October 2015. 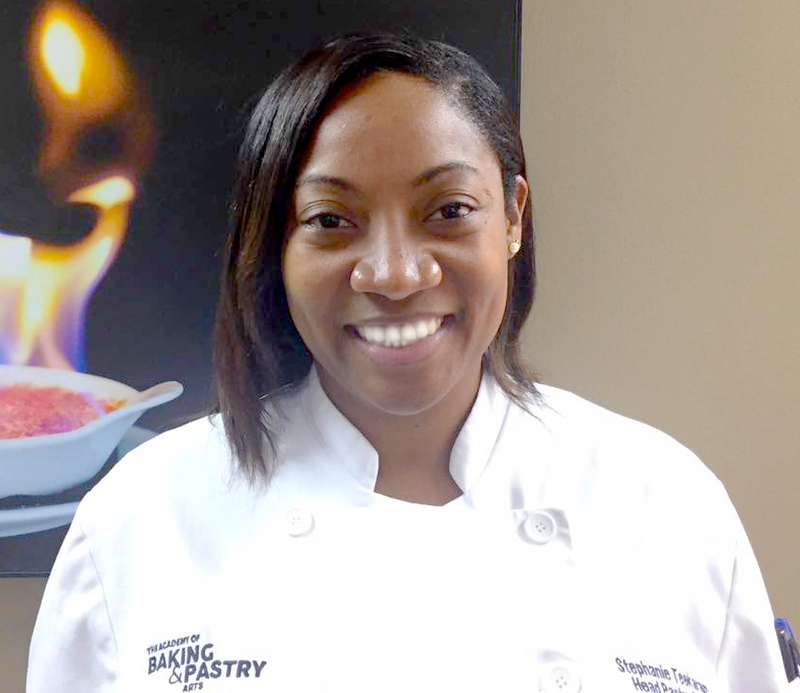 Stephanie brings her years of experience to the Academy of Baking and Pastry Arts. Chef Candice Eligon is a professional Cake Artist from Trinidad & Tobago. She started decorating cakes at the age of fifteen, after completing a beginners class in the preparation and application of royal icing at the YMCA. In the years following, Candice completed courses with several local cake decorating instructors, whose professional expertise involved the use of fondant and gum paste. From 2012-2014 Candice taught at the Trinidad & Tobago Hospitality and Tourism Institute, where students were introduced to various skills and techniques in cake decorating to the fundamentals of building show pieces. Here she found that she loved teaching and demonstrating just as much as the craft itself. Having completed numerous workshops, Candice brings to us her skills and techniques in cake carving, cake construction an much more. Karima Mohammed is not your typical Chef. She actually wanted to be a psychologist. She attended the University of Las Vegas, Nevada and graduated in 2005 with her Bachelor’s in Psychology. But surrounded by the lights, the food and the culinary spirit of Las Vegas, her love of the Culinary Arts was born. 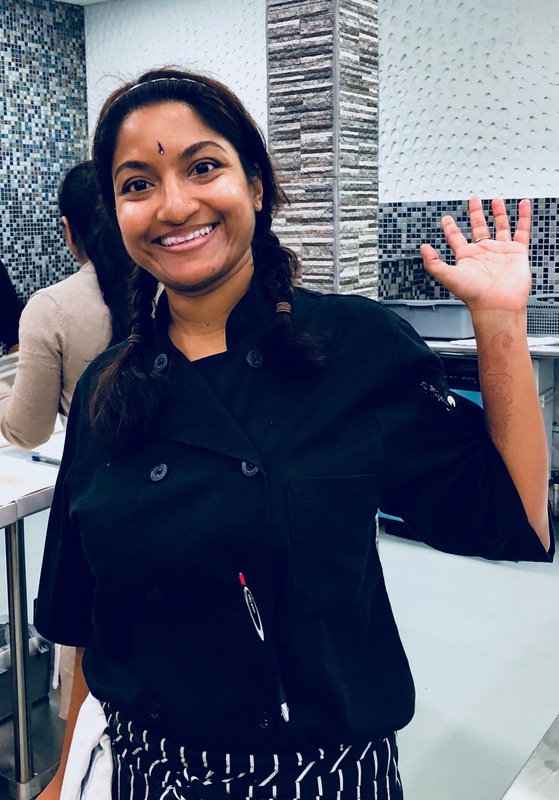 She returned to Trinidad and began her apprenticeship at Solimar Restaurant under the instruction of (then) Sous Chefs Jason Huggins and Tricia Olivierre-Corbin both of whom she attributes with the discipline and technical skills she perfected. Karima returned to Vegas, working at the world famous Wynn Resorts. But her love for Trinidad has brought her back. We are happy to welcome her to The Academy!